In episode 306, we are thrilled to have the one and only Brian Madden with us! 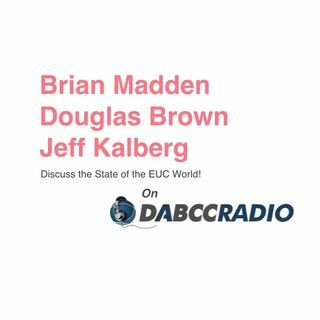 Yes, the stars have aligned and for the first time Douglas Brown and Brian Madden sit down to discuss the EUC World! But, it does not stop there, to make the conversations even sweeter we are pleased to have Jeff Kalberg, Technical Genius from IGEL, with us to add to the discussion. Together we discuss Brian’s new role at VMware and what it’s like for both Brian and Doug to work for vendor after over a decade of ... See More being independent analysts. Then we dive into the EUC world and discuss topics such as VDI vs. RDSH, DaaS, secure software-defined end-points, Citrix’s Raspberry Pi client, AI, IoT, and the future of end-user computing. This is indeed a great conversation where Brian, Jeff, and Doug give their honest views and debate the issues; agreeing, disagreeing and then agreeing again. It’s a fun listen. Jeff and Brian are great people and made for a fantastic episode! Brian Madden has spent over 20 years in IT, mostly focused on the future of end-user computing at the enterprise level. He’s currently the Lead Field Technologist in VMware’s End-User Computing office of the CTO. Prior to that, he was known as the creator of BrianMadden.com & BriForum, as well as the author of 6 books and over 2000 articles. Jeff Kalberg is a Technology Evangelist at IGEL Technology with over 35 years of industry experience covering more technology than he cares to remember. As an IT consultant for most of his career, Jeff has advised organizations of all sizes on a variety of technologies. Much of his work has focused on the management and delivery of the end-user computing experience, and the associated business value. Over the years, he has counseled some of the world’s largest and most respected companies. Jeff holds a Bachelor’s Degree in Accounting from Wittenberg University in Springfield, Ohio.